The Who’s first album since the untimely passing of drummer Keith Moon, Face Dances could have been rejected as a token project by a dated band. Thankfully that’s not the case and, never the victims of circumstance, The Who shine in the face of adversity. 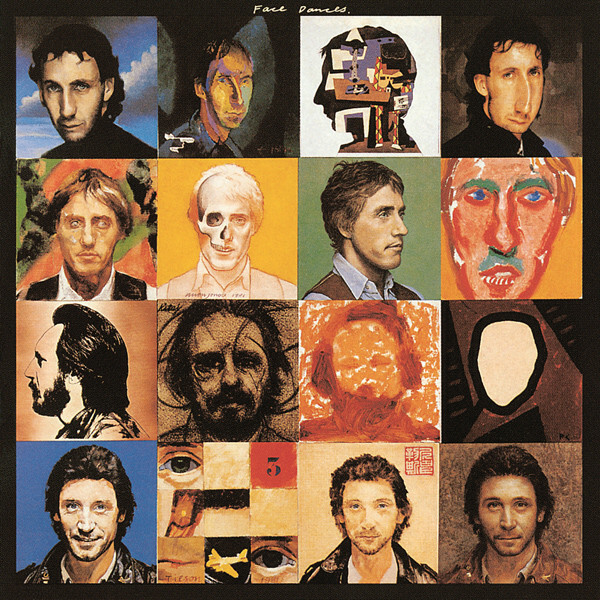 Face Dances was not only The Who’s debut album of the ’80s, it was their first without the manic force of drummer Keith Moon, who passed away in 1978 and you can see the effect it has on the tight-knit, yet disorderly band. „You Better You Bet“ is hit material from the off, while „Another Tricky Day“ and „How Can You Do It Alone“ pay note to impending middle-age and dreaded responsibility. And with this new maturity comes Pete Townshend’s thoughtful lyrics and Roger Daltrey’s emphatic vocal. Meanwhile John Entwistle’s bass is heavier than ever and Kenney Jones’s drumming fills Moonie’s manic void. While a mood of introspection lurks throughout, it is clear The Who’s fire still burns bright and no less furious. Face Dances went platinum and became the #2 album of 1981. 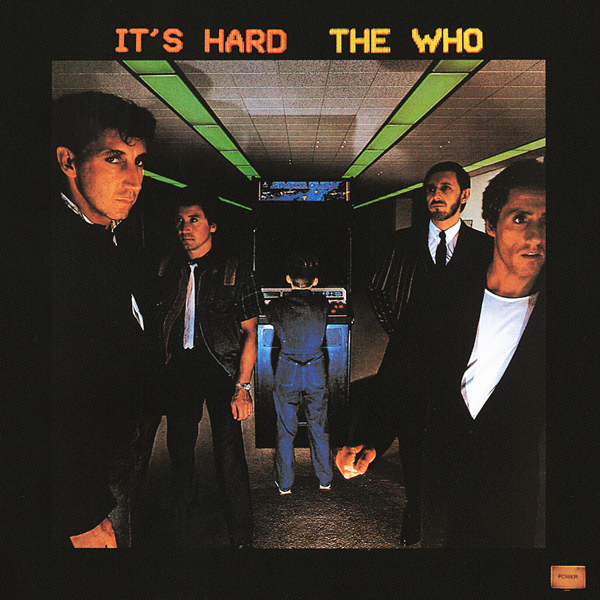 It’s Hard is the tenth studio album by the English rock band The Who. It is the last Who album to feature their bassist John Entwistle (before his death in 2002) and their drummer Kenney Jones, as well as the last to be released on Warner Bros. Records in the US. It was their last album until 2006’s Endless Wire with the last two members of the original 1964 lineup. It was released in 1982 on Polydor Records in the UK, peaking at #11, and on Warner Bros. in the US where it peaked at #8 on the Billboard Pop Albums chart. The US rights to both this album and Face Dances subsequently reverted to the band, who then licensed them to MCA Records (later Geffen Records, itself once distributed by WB) for reissue. The album achieved gold status by the RIAA in the US in November 1982. 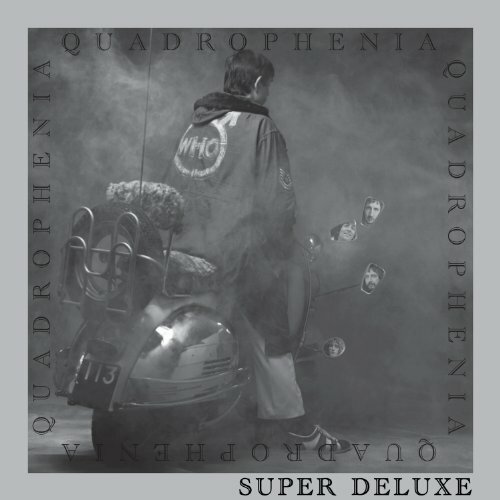 • In 2012/2013, The Who embarked on the Quadrophenia and More Tour, performing their landmark rock opera in its entirety, marking the 40th anniversary of the original 1973 release of this double-album masterpiece. The critically acclaimed and highly successful tour closed at London’s Wembley Arena, with the cameras rolling, to record the closing night of this historic anniversary tour. 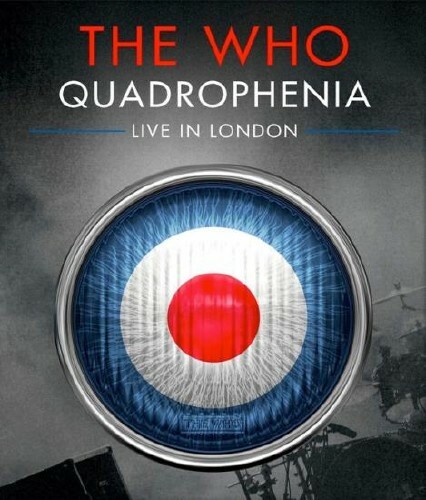 • Filmed on July 8, 2013, QUADROPHENIA: LIVE IN LONDON Blu-rayTM features The Who in peak form, performing Quadrophenia from front to back, in its entirety, plus a special set of some of their all-time greatest hits. The film captures the band’s dynamic performance in front of their hometown crowd and features blistering performances of ‘The Real Me’, ‘The Punk And The Godfather’, ‘Doctor Jimmy’ and a powerful performance of ‘Love Reign O’er Me’. With HD screen backdrops, archival footage and today’s advanced technology in sound, QUADROPHENIA: LIVE IN LONDON reunites The Who with bandmates John Entwistle, for ’5:15′, and Keith Moon for his signature song ‘Bell Boy’. 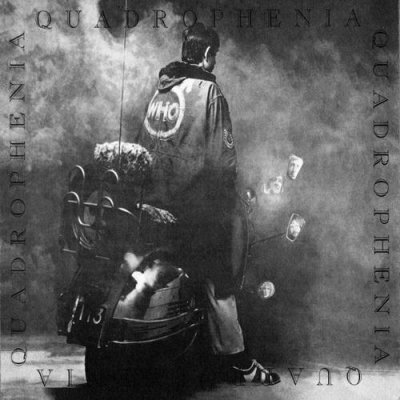 In addition to their performance of Quadrophenia, the band tear through classic tracks such as ‘Pinball Wizard’, ‘Who Are You’, ‘You Better You Bet’ ‘Baba O’Riley’ ‘Won’t Get Fooled Again’ and ‘Tea & Theatre’, from their 2006 release ‘Endless Wire’, with the intensity and power only The Who can conjure. 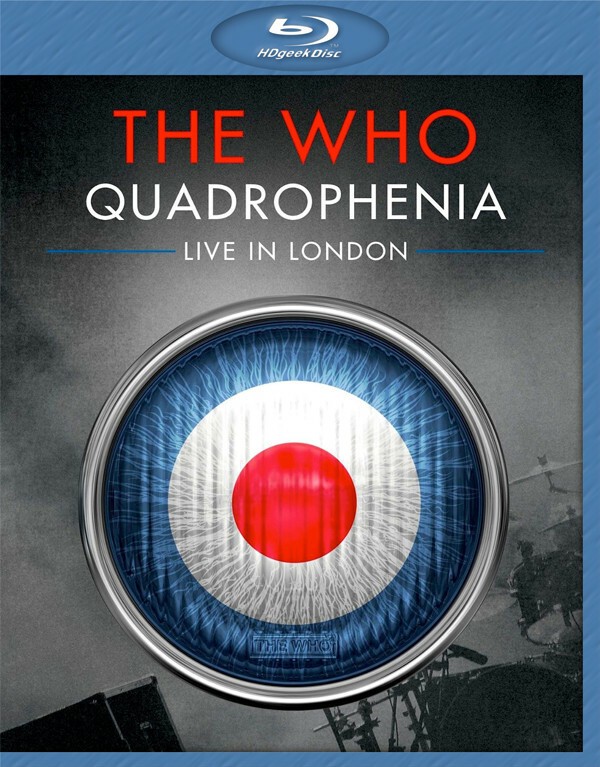 • Filmed on July 8, 2013, QUADROPHENIA: LIVE IN LONDON Blu-rayTM features The Who in peak form, performing Quadrophenia from front to back, in its entirety, plus a special set of some of their all-time greatest hits. The film captures the band’s dynamic performance in front of their hometown crowd and features blistering performances of ‘The Real Me’, ‘The Punk And The Godfather’, ‘Doctor Jimmy’ and a powerful performance of ‘Love Reign O’er Me’. With HD screen backdrops, archival footage and today’s advanced technology in sound, QUADROPHENIA: LIVE IN LONDON reunites The Who with bandmates John Entwistle, for ‘5:15’, and Keith Moon for his signature song ‘Bell Boy’. In addition to their performance of Quadrophenia, the band tear through classic tracks such as ‘Pinball Wizard’, ‘Who Are You’, ‘You Better You Bet’ ‘Baba O’Riley’ ‘Won’t Get Fooled Again’ and ‘Tea & Theatre’, from their 2006 release ‘Endless Wire’, with the intensity and power only The Who can conjure. 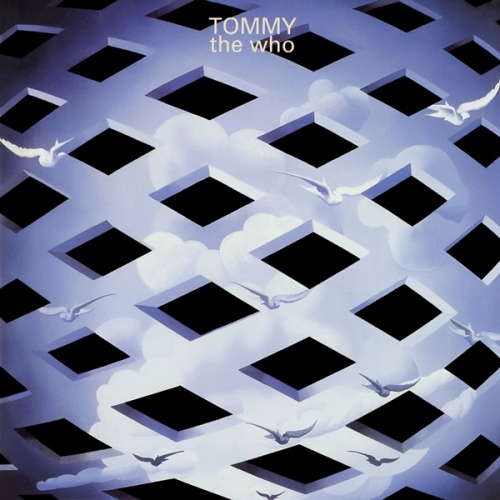 The Who’s seminal double album ‘Tommy’, released in 1969, is a milestone in rock history. It revitalized the band’s career and established Pete Townshend as a composer and Roger Daltrey as one of rock’s foremost frontmen. 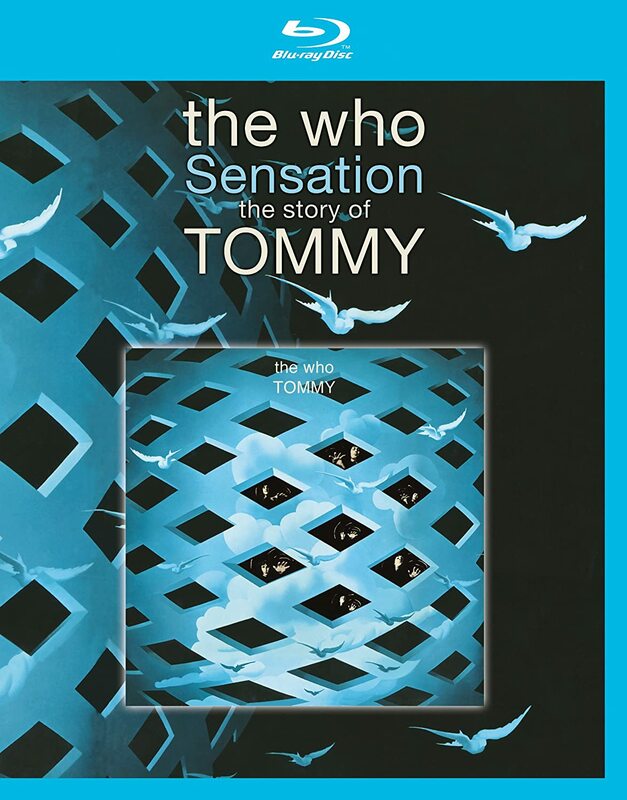 The first album to be overtly billed as a ‘rock opera’, ‘Tommy’ has gone on to sell over 20 million copies around the world and has been reimagined as both a film by Ken Russell in the mid-seventies and a touring stage production in the early nineties. This new film explores the background, creation and impact of ‘Tommy’ through new interviews with Pete Townshend and Roger Daltrey, archive interviews with the late John Entwistle, and contributions from engineer Bob Pridden, artwork creator Mike McInnerney plus others involved in the creation of the album and journalists who assess the album s historic and cultural impact. 3) Tommy, Can You Hear Me? Recognized as the first rock opera, The Who’s Tommy set a new standard for the concept album in rock. About a deaf, dumb and blind pinball master, the double album (which featured the monster hit “Pinball Wizard”) shot The Who to superstardom. As well as being hugely successful, the album also established the band as one of the most ambitious and innovative groups of the 1960s and 70s. This hi-res release adds a new dimension to the rock masterpiece, making for an essential re-experience.